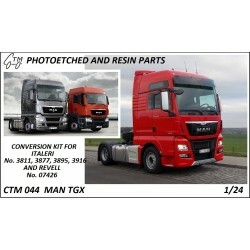 CTM - CZECH TRUCK MODEL, s.r.o. 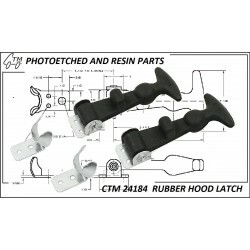 CTM has released a wide range of accessories for different Kenworth cabovers covering both the K100 from Revell and K123 from AMT. 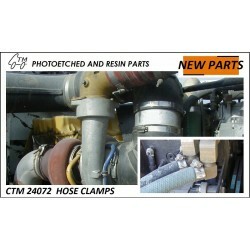 CTM provides new photo etched ratchet straps with real textile bands that come either in orange, blue or yellow! 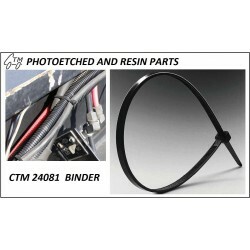 We have designed a great and user friendly set of cable ties for all kinds of wiring operations. It has never been so easy! 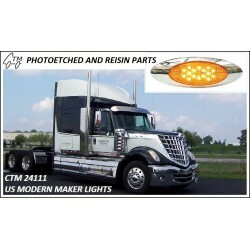 The Moebius models kit is great and represents a modern US long haul tractor and we have a detail set for it! 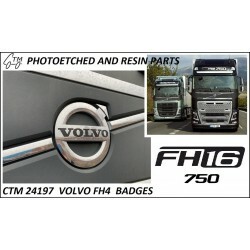 We are really into details and bring state of the art accessories for detailing your model engines and frames! 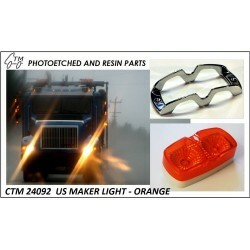 At CTM we do things that others don't do. We offer you a wide array of painted dashboards for various American and European trucks and each year the choice is wider and wider! ARE YOU AN INTERIOR FAN? 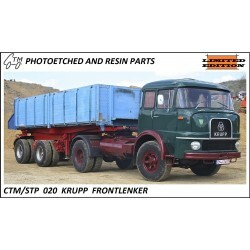 A small photo etched set for detailing the old resin cab of Krupp Frontlenker. 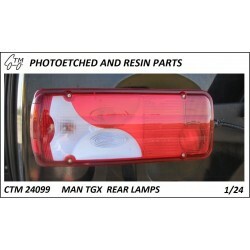 The cab is no longer available but appears from time to time on eshops or internet as a second hand item. It was sold by modelmakershop.com. 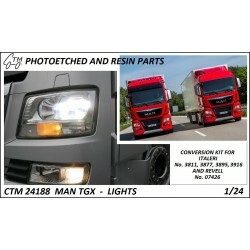 A set with lights for MAN TGX. 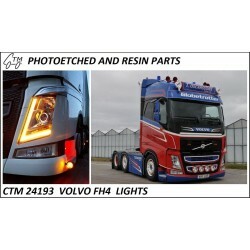 Head lights for Euro 5 and Euro 6 version, new LED tail lights, roof marker lights and fog lights. A detail set for Italeri man TGX. 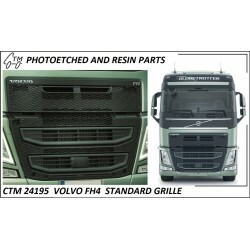 Contains the badges and grille details for TGX Euro 5 and Euro 6 (early), type designations, wipers, bumper steps and chassis details: main frame crossmember, end frame crossmember, fifth wheel mounting rails, spare wheel carrier with a wheel chock, grille mesh, fuel tank straps, exhaust heatshield and rear cab wall vents. 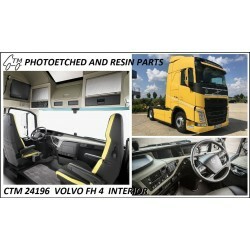 A painted interior set for the Italeri Volvo FH4. 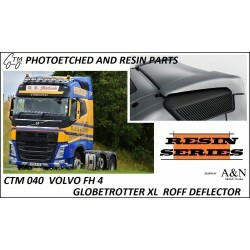 Contains all the dashboard and interior panels to detail your FH4 kit. 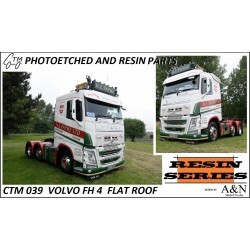 Designed for both the RHD and LHD version. 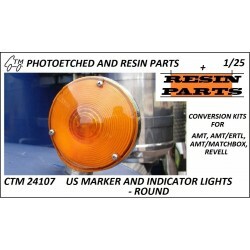 A resin dashboard will come as a separate item by CTM later. 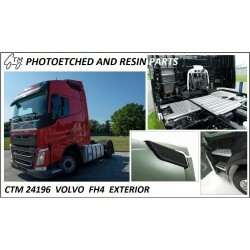 A detail set with exterior details for the Italeri Volvo FH4. 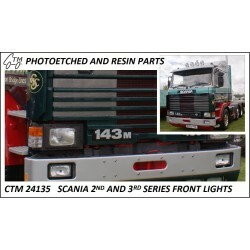 Contains a catwalk with mounts, end frame crossmember, exhaust silencer cover safety symbols, fuel tank straps, welds and filling cap signs, wipers, air intake mesh and side skirt steps. 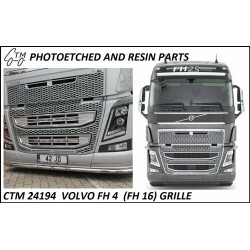 An improved (finer and more realistic) version of the standard Volvo FH4 grille for the Italeri Volvo FH4 kit. 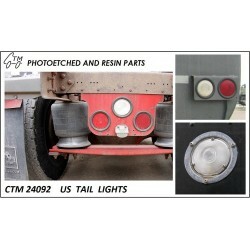 A generic set for detailing your trucks and trailers. 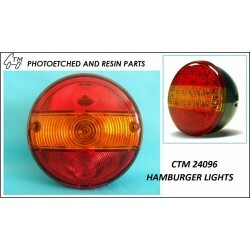 - 6 classic style hamburger lights (non symmetrical version) Light diameter: 6,5 mm. Worldwide by insured post. Tracking numbers available on demand. The new e-shop has been started and is now fully working. Please let us know if you discover any software malfunctions or errors.